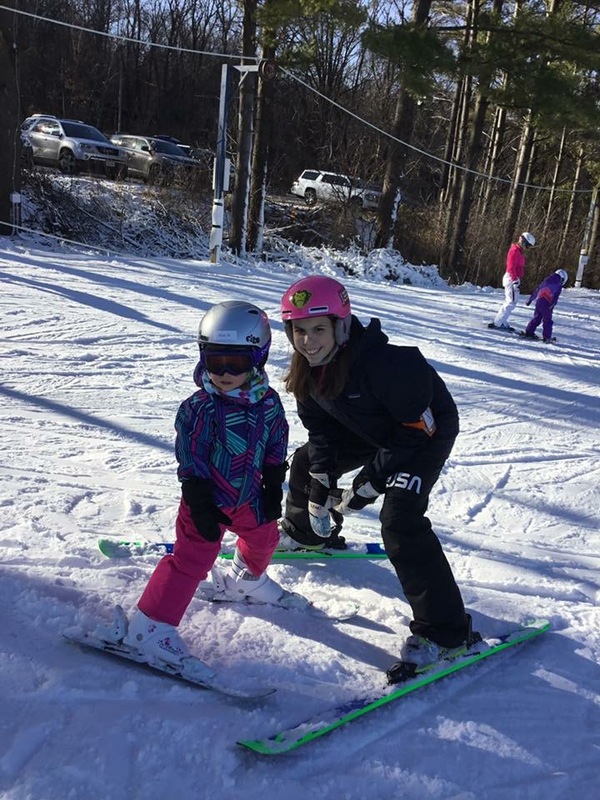 Pre-Flight – A program designed for first-time skiers to provide individual instruction to very young children (ages 4-6). 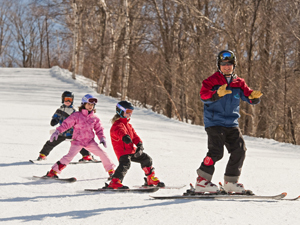 Goals: Children will advance to First Flight group lessons once they can ski independently down the hill by either making simple turns or controlling their speed in a wedge. Pre-Flight lessons start on Saturday, December 8th and run through Saturday, February 23rd. There are no group lessons Friday, December 21st - Friday, January 4th as we take a break for the holidays. 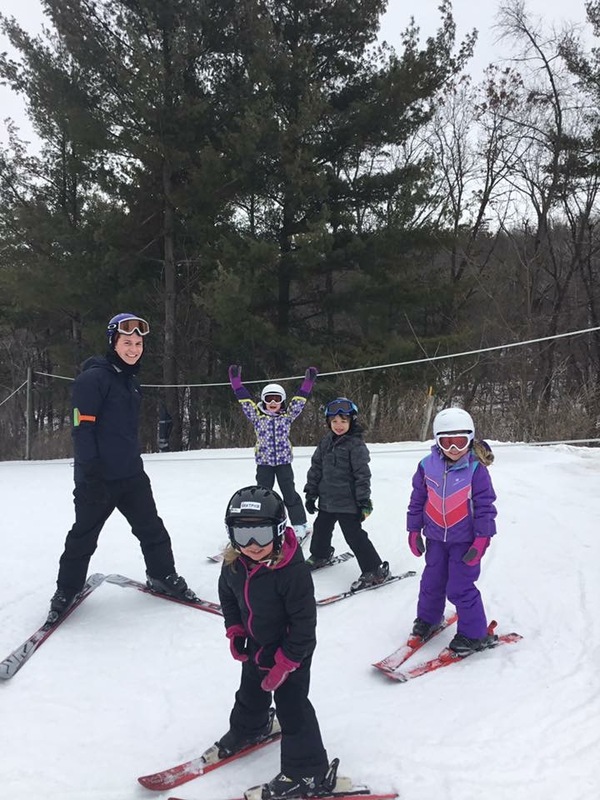 ​​First Flight / Second Flight – This program is to provide group instruction to children who can turn or stop; or kids (ages 6 or older) with no skiing experience. Goals: Children will learn to ski Hill #1 comfortably using wedge turns to control speed and independent use of the towrope. Next children will continue to develop speed and turning control and be introduced to parallel turning technique on Hill #2. Children will ski a short, gated course and may also try small jumps. Children will be observed and divided into appropriate skill levels. Children may work at advancing through this program for one to three seasons depending on how quickly they progress. First Fight / Second Flight lessons start on Saturday, December 8th and run through Thursday, February 28th. 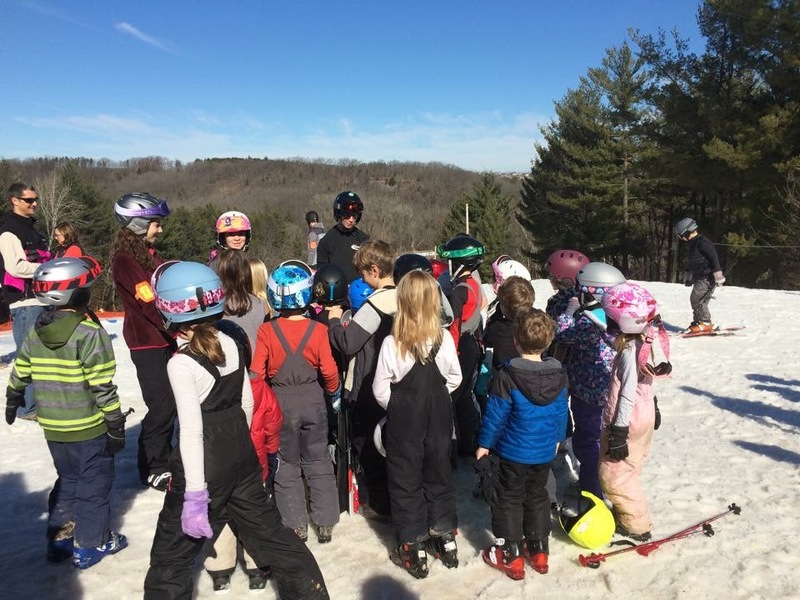 X-Ploration Team – Blackhawk X-Ploration Team is geared for young skiers (age 8+) interested in developing their abilities in all the programs offered at Blackhawk. This program replaces Third Flight. Students will cross train in the areas of ski jumping, ski racing, freestyle skiing and cross country skiing. Students will be offered formal instruction in each discipline with the ultimate goal of preparing for a friendly X-Game style challenge at the conclusion. X-Ploration Team skiers MUST be graduates of the Second Flight program and MUST be 8+ years of age. Helmets and leather gloves or mittens are required. To best utilize modern teaching methods, “shaped” downhill skis are recommended. Ski poles are mandatory for the ski racing and freestyle portions of the instruction. Alpine skis will be used for ski jumping. Students can bring their own cross country ski equipment or use Blackhawk cross country ski equipment (no extra fee) on days when we will be working on that discipline. X-Ploration Team lessons start on Saturday, December 8th and run through Saturday, February 23rd. 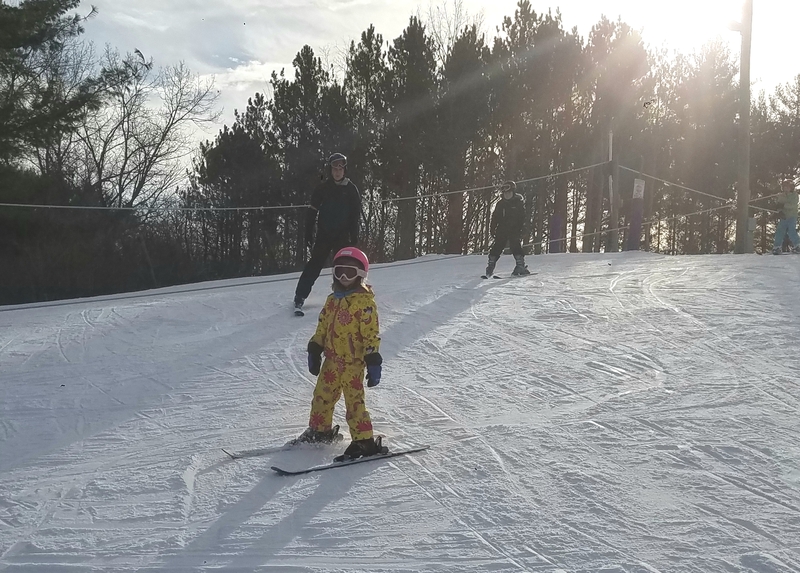 Snowboard – This program is geared towards children ages 7 or older who have never snowboarded or have little experience on a snowboard. Instruction will focus on getting the students familiar with the different aspects of snowboarding starting from the very basics. 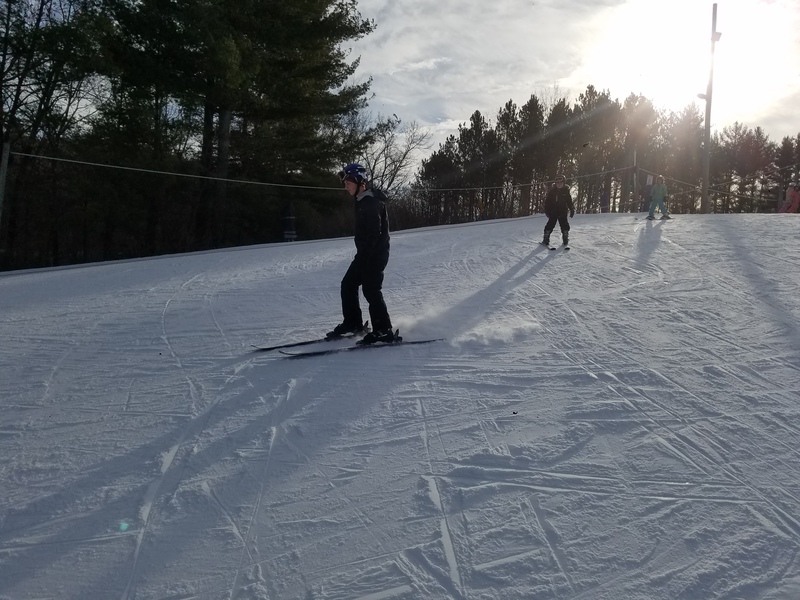 Students in the program will progress from a very beginner snowboarder to having the ability to confidently carve turns on Hill #2. Snowboarding lessons start on Monday, December 10th and run through Thursday, February 28th. Ski Lesson Availability – Group lessons including the First Flight / Second Flight, X-Ploration Team, and Snowboard are available only to participants with Full Access memberships. The number of available spots is limited and some lessons times fill very quickly after registration opens in September. We are offering private ski/snowboard lessons again this winter. Cost is $40/hr for the 1st in the group and $20/hr for each additional group participant. For more info, contact Guy Perez at privatelessons@blackhawkskiclub.org.